Conference Registration Fees: The conference registration fee is for September 17 dinner and September 18 – 20 (Tuesday AM – Thursday lunch) and will include continental breakfast, lunch, dinner, breaks, conference materials, and the KAMM evening networking events. Conference Special: Membership is based on a calendar year. If you are not a member and want to pay for membership ($25) and conference fees ($175) together, then select Conference Special to pay for both ($200). Before you begin KAMM conference registration, review the Monday, Preconference free workshops and activities. Link to the Pre-conference Agenda. If you do not plan to attend any Pre-conference activities, you can skip that section on the registration form. You will receive an auto-confirmation email from KAMM. Please check your spam folder if you don’t receive it immediately. September 17 Monday – Preconference Day: Please register for all the events you plan to attend, even though they are free. Some of the Preconference activities occur at the same time, so select the one you prefer. If you don't plan to attend any Preconference activities, you can skip the section. 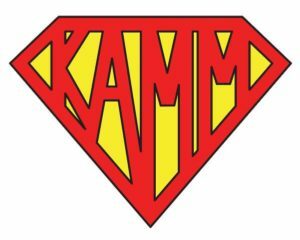 When you hit the Submit button your registration for KAMM iss complete and you will receive an auto-confirmation from KAMM. By default you will be sent to PayPal so that you can pay by credit card. You will receive a confirmation from PayPal once your transaction is complete. If you do not receive a confirmation from PayPal, then your payment is not complete. You will receive an email as a registration auto-confirmation/invoice. To add someone else to the auto-confirmation, see below. Would you like your auto-confirmation/invoice delivered to someone else? Add their e-address here. Do you have a nickname? We will print your formal name, but in larger print, will be your first name. Several Options for the Day! Pick wisely: activities coincide, so select carefully. We will send you a reminder for Pre-conference registrations the week before the conference, along with any instructions. Lunch on Your Own. If you don't plan to attend any Pre-conference activities, you can skip this section. $32 Green Fees. Meet at the Golf Course. KAMM sponsors lunch at the golf course. KAMM will provide transportation. Meet us at 12:30. Join us for the Welcome Fest and Exhibits Grand Opening! Dinner on us! Interested in the Community Rating System (CRS)? Would you like a one-on-one meeting with Christina Groves during the conference? If your community is interested in joining the CRS, please meet with Christina for specifics. Have questions about maps, floodplain permits or elevation certificates? Would you like a one-on-one meeting with Alex VanPelt during the conference? Would you like to volunteer at the conference? We need help with the registration desk and the Silent Auction, setting up socials, and breaking them down, etc... We will contact you in September about opportunities. KAMM Membership is based on the calendar year (January - December). * If you are not a member you can pay membership dues along with the conference via the "Conference Special." * Conference Special includes individual KAMM membership ** KAMM Scholarship and Sponsor Pass requires that attendee be a KAMM Member. If paying for one-day registration, please let us know which day in the Other Comments below. You will receive an auto-confirmation/invoice from KAMM. When you hit the Submit button, your registration is complete. If you are registering for one-day, please let us know which day (Tuesday, Wednesday or Thursday). KAMM mailing address: KAMM, PO Box 1016, Frankfort, KY 40602-1016. Have questions, contact us at kentuckymitigation@gmail.com.